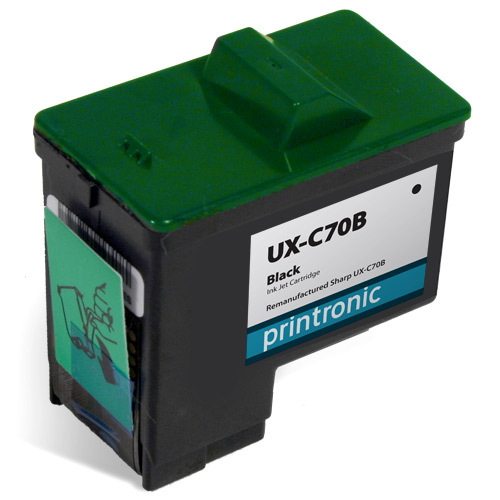 Our compatible Sharp UX-C70B black ink cartridge replaces the Sharp UX-C70B inkjet cartridges. This inkjet cartridge is used by the Sharp UX-A1000, UX-B20, and UX-B7000 series inkjet printers. Our compatible Sharp UX-C70B black ink cartridges come with our 100% satisfaction guarantee.